charlie's team hutton | So what are Team Hutton up to now? So what are Team Hutton up to now? 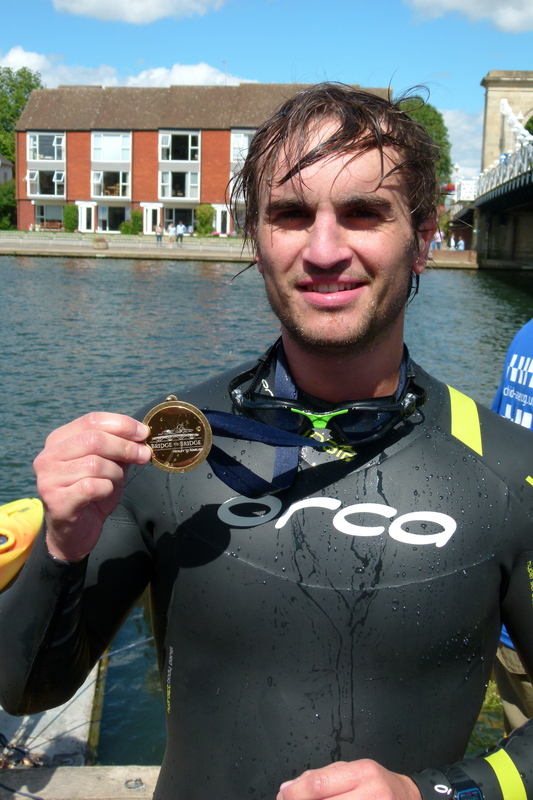 We know it’s been a while since we’ve updated this blog but we thought it was about time to let you all know about this year’s “Challenge Charlie” event that I will be undertaking in August 2016…IRONMAN COPENHAGEN!! Hopefully see some of you in Copenhagen! So I managed to drag my ‘support crew’ (aka Steph, Gill and Simon ) the 300 miles from London to Lake Ullswater in a mere 10 hours in the run up to my very first Half Ironman. 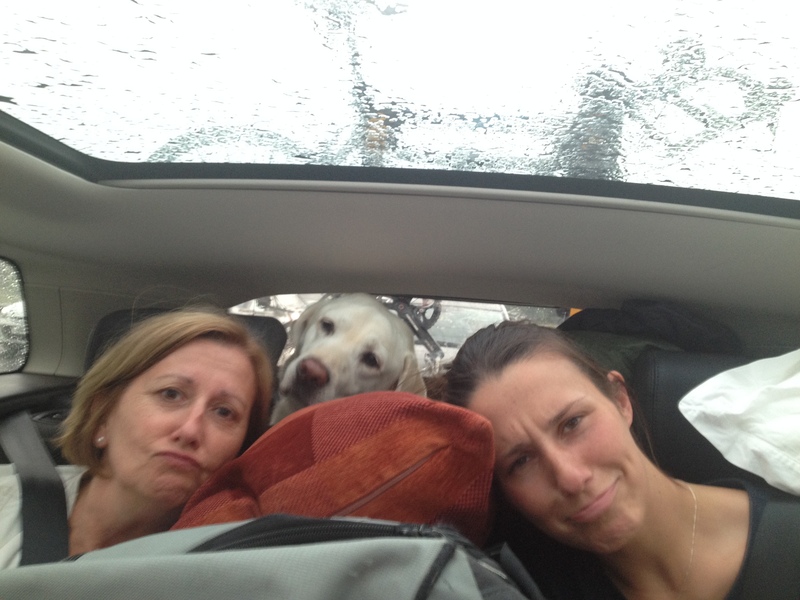 So we arrived late on Friday night in a rather cramped car indeed. We pulled into the campsite (did I mention we were camping too?) called Park Foot where we quickly pitched our tent on the banks of Lake Ullswater after which mum and dad swanned off for a good night’s sleep in a local B&B, perhaps a wiser choice of accommodation. Despite our initial misgivings about the choice of a sleeping bag for the night, we were joined by a select few others in the competitors camp. They were slender, quiet, ominous individuals who kept to themselves, quite clearly the professionals who had no interest mingling with a Tim, Tom and Steph fumbling about with their tents and pegs. Their bikes, gleaming brightly from their roofracks in the moonlight were oozing style and money. No amateurs here. We settled in for a nervous night’s sleep before the penultimate day ahead. We spent our last pre-race day practicing transitions (the annoying bits between the 3 events) and driving the route, which in hindsight proved more nerve-wracking than confidence-boosting. We packed in more food and settled in for our last night before the big day. I woke at around 6am and whipped up some porridge on my dad’s 40 year-old stove outside the tent as the other competitors began to surface. I wolfed down my breakfast and set about checking my day’s nutrition, the rather sickly energy gels and enough nut bars to feed a small scurry of squirrels (in case you were wondering, yes that is what you call a group of squirrels). The atmosphere was pretty tense on the way to the briefing as everyone wheeled over their bikes and gear to the transition area and donned their wetsuits for the first swim stage. The rather extensive rules that were read out during the briefing certainly hit the message home that this was no ordinary ‘day in the lakes’. We made our way into the water and paddled out to the starting buoys a few metres into the lake. It all seemed rather chaotic as people jossled for a good starting point on the opening line. Before I knew what was happening the horn sounded and the swimmers were off. Having never competed in an open-water swim, I was overwhelmed by the melee of arms and legs that thrashed in every direction, as I swam/semi-drowned my way across the lake. I knew I was swimming too fast but there was little I could do. Those behind me were slapping my feet as those either side jabbed, whacked and poked my sides. I ploughed on, around the first 2 buoys and back against the wind and tide. Coughing and spluttering, the exit point was in sight and I clambered up the bank. 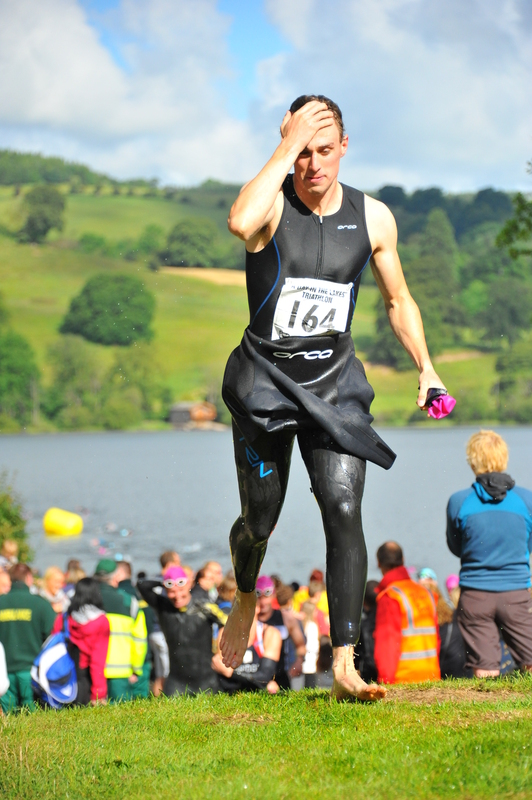 It was a relief to be out of the water as I made my way through the cheering crowds in the direction of my bike. My legs still felt numb and sluggish from the swim as I weaved down the country lanes which eventually opened out into a beautiful route along the lake. I knew I should appreciate the flats while they lasted as I pushed on to the infamous ‘Kirkstone Pass’. For those of you lucky enough never to have done this climb other than in a car, Kirkstone Pass is a mountain pass at an altitude of 1,489 feet, making it the Lake District’s highest pass. The road is known locally as “The Struggle“ and reaches gradients of 20%. 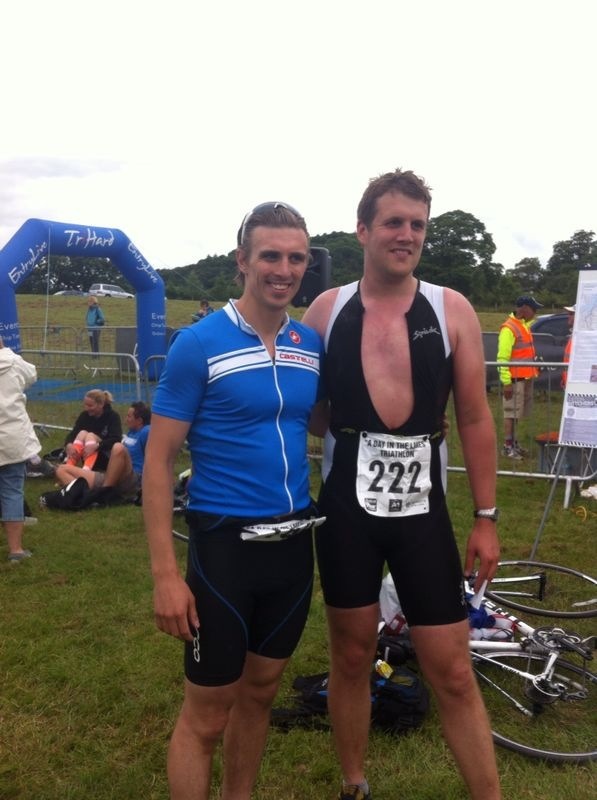 No easy feat for a man on his inaugural Half Ironman. I finally reached the base of “The Struggle” and began the ascent. My limited hill training in the somewhat comparatively flat London certainly took its toll, and after probably around 15 minutes of climbing, I was forced to a stop in a layby and clambered off my bike. I tried once, twice to get back on my bike but I couldn’t turn the pedals fast enough to get back on track. Eventually I mustered the energy to continue for a further 10 minutes until I was forced into a second stop, puffing and heaving. The last surge began and I passed my loyal supporters, mum dad and Steph, but only managed a cursory nod of recognition in their direction. It soon materialised after the event that they hadn’t spotted me and I received a tirade of abuse for not giving an enthusiastic wave or a mighty cheer. I mean, it wasn’t like I was on the verge of vomiting or was gasping for breath or anything..
As I clambered to the summit the stunning vista opened up before me and the descent began. Finally I could just let the bike go as I weaved round bends and grasped at the brakes when my nerves took over. As I screamed round one particularly sharp corner, I suddenly noticed 3 stationary cars a few hundred yards in front. I managed to pull to a stop inches behind the first car to notice a cyclist tangled in his bike on the side of the road. He had slammed into one of the walls on one of the inside bends and it didn’t look like he’d be getting up any time soon. I pulled away and continued my descent, albeit somewhat more cautiously. After the rest of the stunning descent through woodlands and over hills, I finally reached the foot of the mountain again. The scenery quickly changed and I felt like I was roaming the lochs of Scotland. The landsc ape was more barren, more exposed. The wind picked up and the temperature dropped. I had begun my second ascent. This one was more gradual and sustained and what made matters worse, there was a particularly tough section which I foolishly thought was the final climb. Instead the climbing continued until we finally reached the last steady descent back into the lake basin. We were guided back into the campsite where I was greeted by a surprisingly large number of supporters. There had been a few scattered along the cycle route, mainly around the Pass, so it was very uplifting to hear the cheers and clapping of the happy campers. This time I managed to spot Steph and the fam and greeted them with a little wave and a smile. I entered the transition area where I quickly stacked my bike, cast off my cycling shoes, grabbed my energy gels and got on my way. This transition didn’t seem as bad as the last and I quickly established my pace. I shared the first few miles with a fellow runner before I had to leave him behind as the start of the ascent began. I quickly remembered how much any kind of incline became arduous, and I was relieved to see so many people slowing to a walk as the incline continued. This was no ordinary run, as I tripped over rocks and slipped on dirt. This seemed more like a fell run. I knew once again that a steep ascent would soon be upon me, but I wasn’t expecting to see the mountain that was opening up before me. The tiny ants ahead of me were weaving diagonally up and across the face, too steep for a straight ascent. There was a small ‘base camp’ at the foot of the mountain, where I took on some more fuel and started to climb. Running slowed to a walk within 5 minutes, and I would have been alone in any attempt at a run. This was now a hike that still burned the quads. A particularly obnoxious competitor passed me with a patronising piece of advice about how many he had done in his time and that I ‘would eventually find my pace’. And despite all of this, I tried to remember where and why I was doing this. I tried to make myself appreciate that this was a stunning event. The sheer ruggedness made it exciting and surprising. I scooped water from a passing spring and besides feeling ever so slightly like Bear Grylls, I knew that I was pushing myself to the limit. And then there was Charlie. I wasn’t just doing this for the challenge but to preserve a memory and promote a cause. I was doing this because Charlie would have wanted me to. So it was time to man up. After what seemed like the longest 6 miles ever, I finally broke out onto a rolling peak with ever more stunning views splashed out in front of me. I cantered over a decent stretch of flat ground and climbed through a sombre-looking ruin of what must once have been the most lonely farmhouse in England. And then the descent began. My legs could barely hold me back from simply bounding down through the ferns where I would have inevitably ended up as a twisted mess of limbs. Instead I just about managed to break my speed but the impact still slammed its way through my knees. I finally reached the same base camp where I took on a welcome flapjack and more fluids. I had previously enquired with the helpful marshall at the stand about how long was to go once I returned to the basecamp. I must have mis-heard her, as instead of another gruelling 6 miles there was only 3. I had a quick check of my watch, having previously cast off illusions of breaking 7 hours. Could I do under 7 now? Inside I groaned, in the realisation that I would now have to fight hard if i wanted to do it. 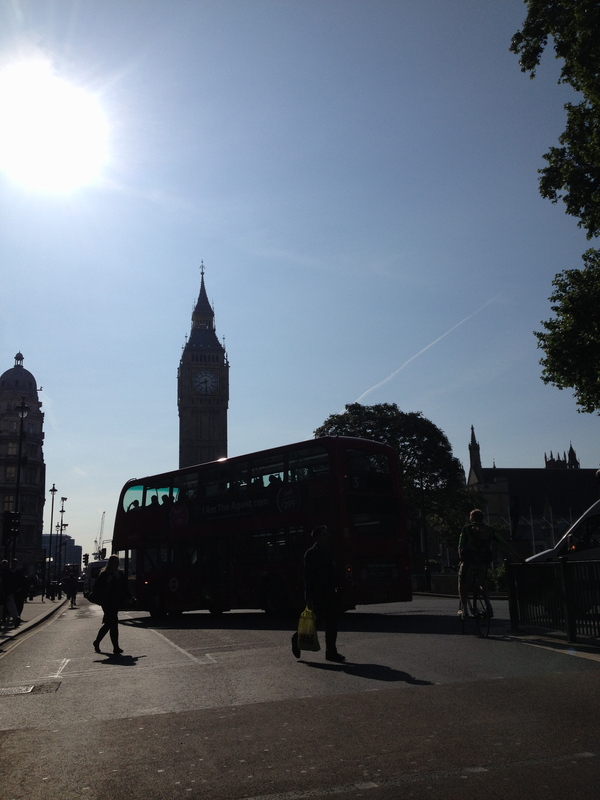 I got on my way once more, at a far too speedy pace. I ran through more ruined houses but this time there was no pause for appreciation. I was regulating everything – the breathing, the rhythm of my foot-steps, the beating of my heart. I eventually reached the end of the off-road and reached a junction with the final road along the lake back into the camp. 2 miles to go? Then I saw my loyal supporters once more. I had a huge surge of adrenalin as I continued without stopping, knowing every second might count. I was in a perfectly steady rhythm now but I didn’t know if i would be able to keep up the pace. A car pulled up alongside me with music blaring and the cheering faces of Steph and mum emerged. I screamed at them to ask if they thought I could break 7 hours, but ironically they could not hear me over the music and mistook my calls for abuse and sped off for fear that they were putting me off. Agitated and lagging, I tried to plough on. And then I saw a familiar figure – Mr Patronising from the hill. i stepped on the gas and gave him a nonchalant wave as I breezed past him, holding back the panting and gasping like it was easiest thing in the world. I knew I could do it. I prayed that every corner was the last but they kept coming. After a final lip, I heard the distance claps and cheers that I longed for. My watch was now dead so I had no idea if I was going to make it. In one last hurrah I pushed myself on and turned into the camp one last time. I welled up as I was patted called through the crowds and onto the finish line. I had no breath left to turn around and speak to Team Hutton. I stumbled through processing to be handed a small receipt-like piece of paper with my time on it – 6 hours 51 minutes. I think it’s time for a beer. 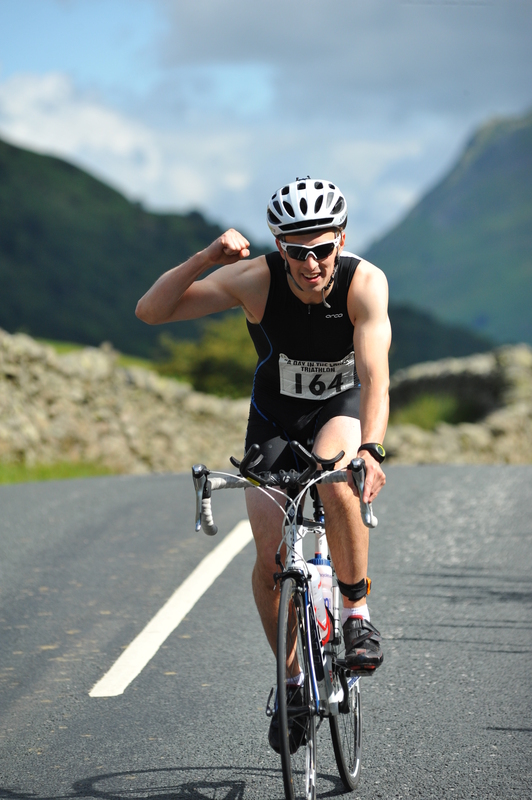 I am going to be doing the self-styled ‘Cotswold Way Challenge‘ on Saturday 24 May and the (perhaps slightly ambitious) ‘Day in the Lakes – Half Ironman‘ on Sunday 29 June. 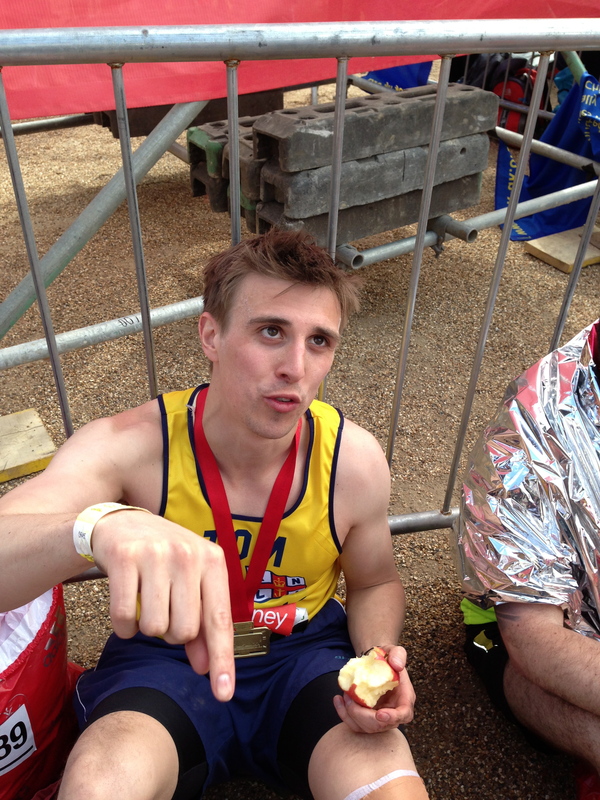 Me after the 2013 London Marathon – just beat 4 hours – job done! The Cotswold Way Challenge entails an 84 mile hike in 36 continuous hours along a stretch of the Cotswold Way with two of my work colleagues. A cheeky half-marathon to round it off! We have decided to take on these challenges so we can continue to raise money to save lives at sea and in memory of Charlie. Our target is to reach £20,000 by the end of 2014, so please give whatever you can. I hope you can dig into your pockets once more to help raise money for this fantastic cause. We will be sure to keep you updated with our efforts via the Virgin Money Giving link here and Team Hutton blogs. Click this link to see the poster for the Charlie Hutton Hockey Festival and that I’ll be running at the School on the 6th of September – Join Us! Starting on 16th June 2014 I will be running 772km over the course of 97 days. I wanted to create an event of my own, something that would be unique and challenging, and that others could also get involved in. I’ve always been inspired by the events where people do something every day and I wanted to add a ‘Charlie’ spin to mine… enter Challenge Charlie! From the 16th June (fittingly my mum’s birthday) until 20th September (Charlie’s birthday) I will run every day to the following distances: Monday – 2km, Tuesday – 4km, Wednesday – 6km, Thursday – 8km, Friday – 10km, Saturday – 12km, Sunday – 14km. Every Saturday and Sunday I want you guys to join me! Simply visit my “Challenge Charlie” schedule and decide the date you want to run with me and click the email link to let me know. I’ll respond with a time and place! You can also choose between a 6/12km on Saturdays or 7/14km on Sundays. A limited number of “Challenge Charlie” T-Shirts will also be available to purchase (£tbc but let me know if you want one, plus size, to help with ordering). I’ll give this to you on the day, with all proceeds going to the RNLI of course! 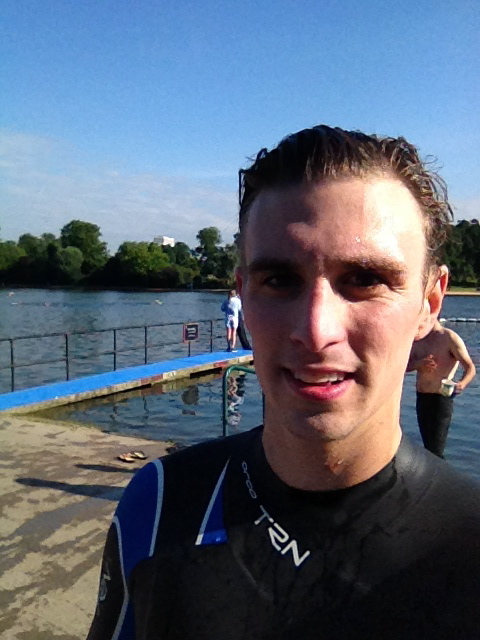 Me after completing my first Bridge to Bridge swim in 2013 – job done! 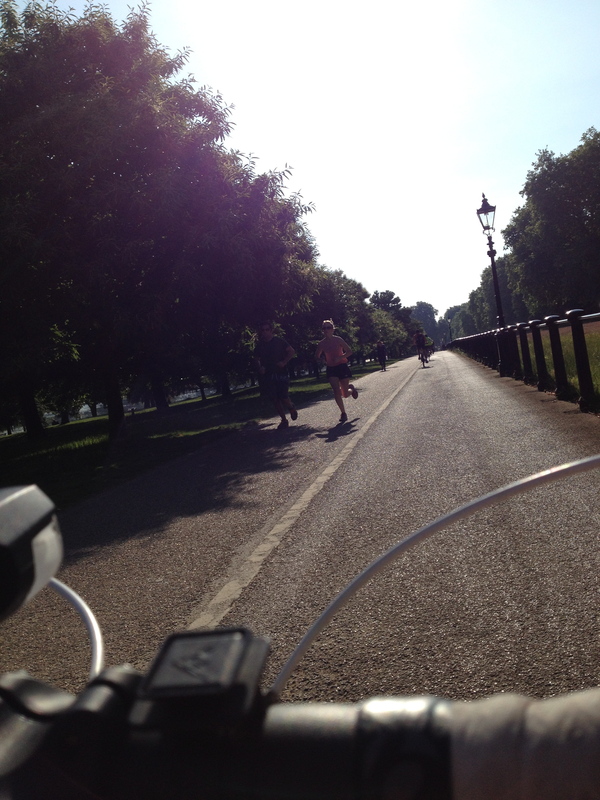 WEEKEND RUNS are 12km and 14kn so get in touch if you fancy it – usually around Battersea Park. SUPPORT RUNS – Sam’s Dad Simon has got his company tothepoint doing a regular Challenge Charlie 6km run along the River from their officies in London Bridge, over Tower Bridge, back along to Blackfriars Bridge then past the Globe and finish with a Pint or two in the Mudlark back at London Bridge. We may shift to Thursdays if we feel we can manage an 8Km. Contact katie@tothepoint.co.uk to sign up and order one of the charity TShirts. 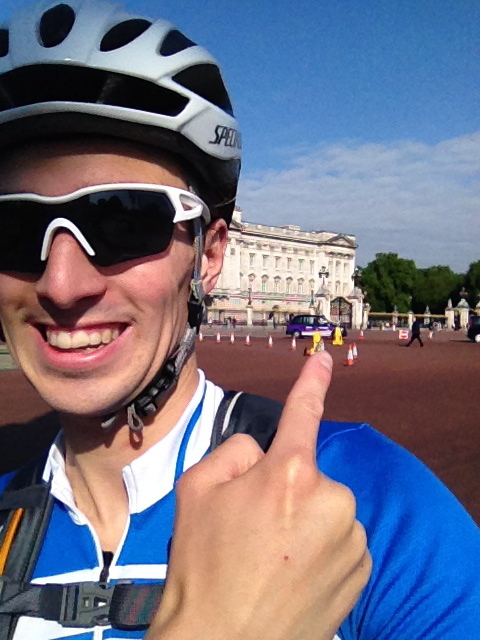 6 September: Challenge Charlie at CHHF and run with Sam…So Sam has been running everyday between the 16th June and will be up to 20th September. His 12km course on the 6th September will be migrating to Whitgift for the Charlie Hutton Hockey Festival, so bring your running shoes and join him for one or all of his laps. Challenge Charlie t-shirts are still available at £15 each. You can order them from the sports reception at Whitgift, or buy them on the day or order them through the website www.challenge-charlie.co.uk (sizes S, M and L). 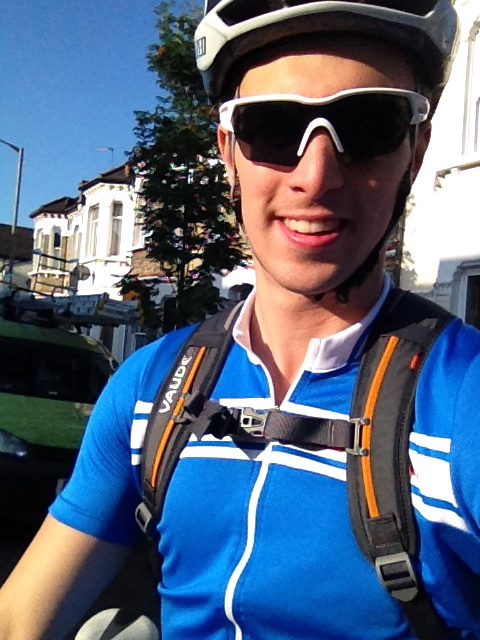 14 September: Sam is planning a big run on this weekend and trying to get as many people together as possible in his final week of Challenge Charlie. Wtrch this space for more info or the Challenge Charlie website. Follow team hutton on Twitter through my twitter account – can’t promise i’ll do loads as i’ll be running most of the time ! Enter your email address to follow Team Hutton and receive notifications of new posts by email.